UPDATE: In April 2015, an Oklahoma judge found that DHS had overstated interest on back child support obligations of some non-custodial parents. Learn how DHS calculated interest why some parents could get refunds for interest on back child support here. UPDATE: In May, 2015, Oklahoma Gov. Mary Fallin signed a bill that will end DHS computation of a parenting time penalty in some child support calculations. The law takes effect Nov. 1, 2015. For the past five years, Oklahoma Dept. of Human Services has claimed a 2009 law requires the agency to increase presumptive child support obligations for some parents who spend more time with a child. The parenting time penalty is computed in child support forms that are the basis of most Oklahoma child support decisions. The agency’s bizarre interpretation is clearly contrary to the intent of the law. By all accounts, the purpose of the law was to reduce child support in proportion to parenting time. A DHS attorney says the agency might ask judges to disagree with the form’s presumptive parenting time penalty. The DHS attorney said the agency is nonetheless obligated to follow what it sees as the letter of the law in forms the agency is required to publish. We disagree. The letter of the law says nothing about increasing child support for parents who spend time with children. 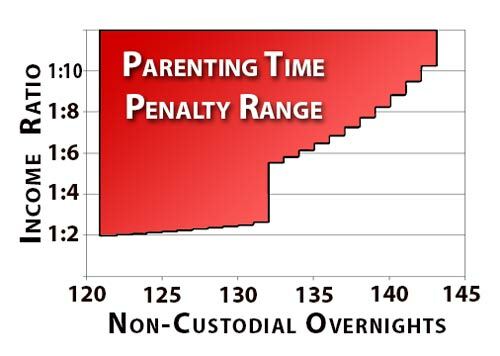 In a previous post, we explored how the parenting time adjustment became the basis of bureaucrats’ strange interpretation. In this post, we will look at some fundamental legal rules DHS should have considered before reaching a legal conclusion clearly contrary to legislators’ intent. Common Sense or Literal Absurdity? Any common sense interpretation of the Oklahoma’s parenting time adjustment law can only conclude the law is meant to reduce child support for parents who spend more time with a child. Emphasizing that she was not formally speaking for DHS when she returned a call to the DHS communications contact number, the managing attorney at the Office of Impact Advocacy and Legal Outreach of DHS Child Support Services, Amy Page, explained DHS’ interpretation of the parenting time adjustment. Oklahoma law requires DHS to prepare a child support computation form. Page said that form must follow the statutory child support guidelines to the letter. That is the reason DHS officials claim they must factor in the computation for parents with more than 120 overnights whether it yields a decrease or an increase in child support obligations. Common sense says otherwise. Everything in the parenting time adjustment law is about reducing child support obligations in proportion to increased parenting time. Common sense would say no parenting time adjustment is presumed in cases where the formula does not provide a reduction for parents who spend time with children. The law never mentions an increase. Other than some mathematical permutations above the reduction threshold, everything in the parenting time adjustment section is about reductions. That is the obvious and only purpose of the adjustment. Page said Oklahoma law still allows attorneys to argue against DHS’ presumptive computation when more parenting time means more child support. She said DHS attorneys even argue against their own agency’s presumptive increase. 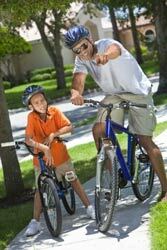 “I don’t think our attorneys would argue that child support should increase. We would say that’s an absurd result.” Page said. Does Oklahoma law really require absurd results to be included in presumptive parenting time adjustments? There are plenty of arguments to the contrary. Common sense would suggest a formula in a section that only discusses reductions would not be the basis of an unexplained increase. Common sense suggests an agency that argues in court against an absurd result could lawfully publish a form that does not represent the absurd result as a mandatory presumption. If common sense is not persuasive, we can rely on rules of statutory construction adopted from English courts. The mischief rule asks what defect a law seeks to correct. 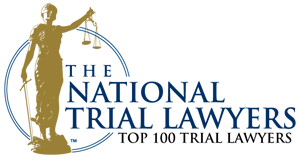 The parenting time adjustment seeks to correct situations where a parent pays for child care and is still obligated to pay the other parent support. The plain meaning rule says laws are interpreted according to the usual meaning of words. Words in a law about Reduction in child support obligation can only increase child support if taken out of context. We do not usually interpret words by taking snippets out of context and interpreting them to absurd conclusions. The golden rule encourages courts to depart from ordinary meaning if that meaning would defy the lawmakers’ intention. Sure, one can claim the isolated phrase “A parenting time adjustment shall be made.. by the following formula” means a parenting time shall always be made, whether the formula grants a reduction or not. But that claim defies the legislatures’ intent. For those still unconvinced that the DHS computation is a bureaucratic exercise in absurdity, we can continue into the netherworld of legal doctrines embodied in Latin phrases. Noscitur a Sociis (“it is known from its associates”) says ambiguity can be resolved by reference to the context. Ejusdem Generis (“of the same kind, class, or nature”) says generalities following specific references only refer to the things specified. In this law, a general statement about a formula only refers to the specific reduction already mentioned. Expressio unius means “inclusion of one thing implies the exclusion of the other.” Multiple references to reductions implies that increases are excluded. There is also something called a clear statement rule. If a law departs from established public policy, lawmakers must clearly state their intentions. Unless lawmakers clearly say so, an opposite policy cannot be inferred from a formula created to reduce child support for parents who pay more for child care. If lawmakers want parents who spend more for childcare to pay more child support too, they can say so. They did not. 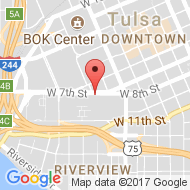 If you are a non-custodial parent whose overnight parenting time and income ratio compared to a custodial parent are in the red zone, Oklahoma DHS might have increased your child support computation for time you spend with your child. Call (918) 879-1681 for more information. If Oklahoma DHS’ parenting time penalty has cost you more money for time you spend with your child or discouraged you from scheduling more parenting time, Wirth Law Office would like to know about it. 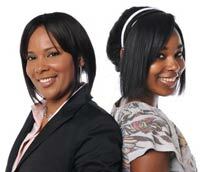 In some cases, a court can modify child support obligations. For a free consultation with a Tulsa child support attorney, call Wirth Law Office at (918) 879-1681. You can also send questions using the form at the top of this page. Wirth Law Office Communications Director David Collins contributed to this report, including an interview with Amy Page.